Posted on Tuesday, March 1st, 2011 at 5:43 am by Renat Tlebaldziyeu. 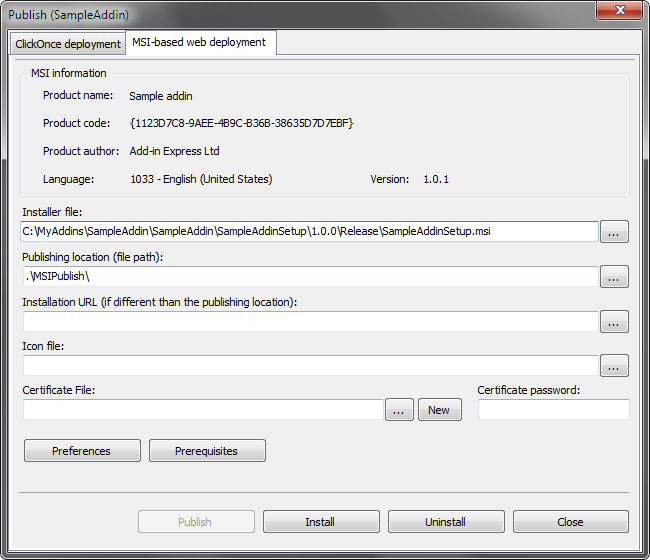 This is the final part of the series that describes all possible ways of deploying your Add-in Express-based Office extensions. I recommend that you begin from the very beginning: Step-by-step deployment of Office extensions: Overview. Or, if you are interested only in ClickTwice :) deployment, you can start right away with Deploying Office extensions via ClickTwice :). the web page URL that you specified in the Download page for updates field of the Preferencesdialog (Step 8 of Deploying Office extensions via ClickTwice). 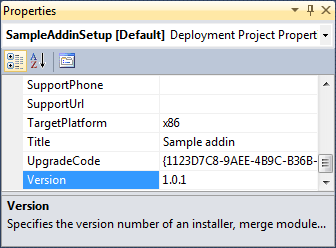 Increase the version number in the Version property of your setup project. Just build the setup project. 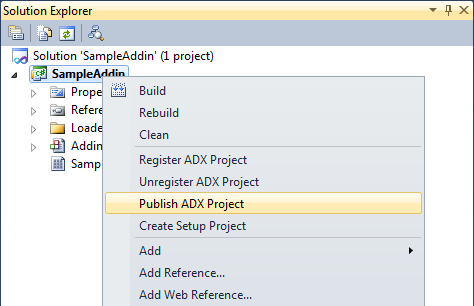 Select your project in the Solution Explorer window and choose Publish ADX Project in the project context menu. 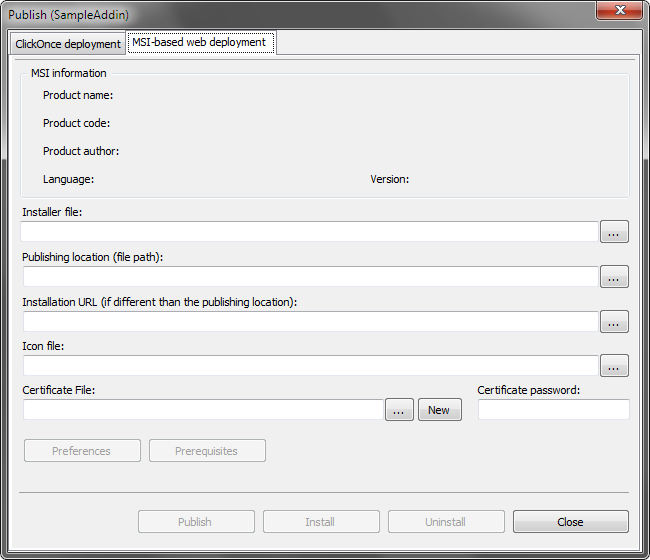 In the Publish dialog, switch to the MSI-based web deployment tab. Specify the new .MSI file in the Installer file field. The wizard reads some general info about the .MSI and fills in the fields in the upper part of the dialog. Go to Step 4 of Deploying Office extensions via ClickTwice to see how to publish your new version.